During our meeting, I spoke to you about the fact that my teacher, Hirokazu Kobayashi Sensei, had been a Daito-ryu shihan active in the Kansai area. You asked me if there were any links between him and the Takumakai. I was not able to clearly answer at that time, but I checked into the matter. I found the answer in an interview with Kiyohiro Kobayashi, Director of the Takumakai, conduced by Olivier Gaurin. The reason I was practicing Daito-ryu and aikido is that when I was a student I began a university club. It was in fact a group of clubs with branches in several universities in Osaka. These Kansai universities contacted us for a meeting because they wanted us to arrange for a permanent instructor. Hirokazu Kobayashi was chosen. He was a student of Morihei Ueshiba in the postwar period. Our instructor, Takuma Hisa Sensei, had been a sumo wrestler and his knees were in bad condition, and he couldn’t take responsibility for the club. I thought that after I graduated the club might cease to exist, and therefore it might be better to join Ueshiba Sensei since he already had an aikido federation. So I proposed that we affiliate the club with the aikido federation, and Hisa Sensei accepted. Kisshomaru [Ueshiba] Sensei was in change of technical matters in the Kansai area while the club still remained under the supervision of Takuma Hisa as a matter of courtesy. Takuma Sensei asked Hirokazu Kobayashi to oversee the club since he had once been a close student of Takuma Sensei. So although the club was originally a Daito-ryu club, it became an aikido club under Kobayashi Sensei. Takuma told him he had done well and everything was arranged. I was really surprised! Kobayashi Sensei had never talked to me about that even though he didn’t hide his affection for Daito-ryu. 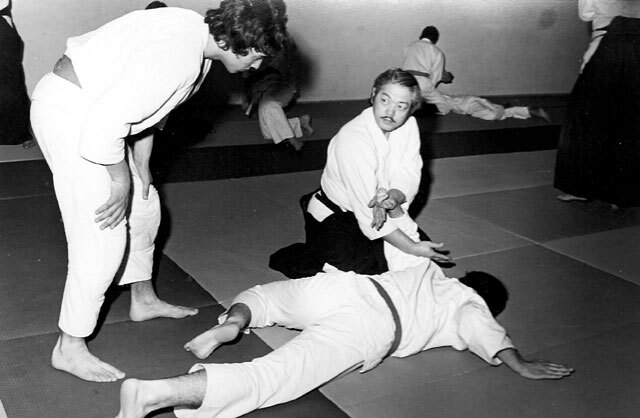 I think the Aikikai made every effort to erase Hirokazu Kobayashi from the history of aikido. 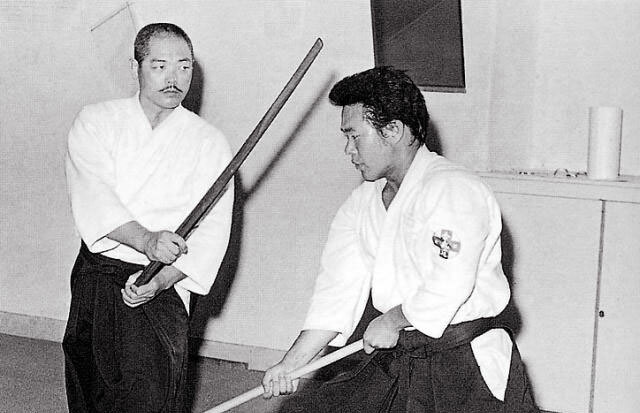 Because the Aikikai officially recognized Kobayashi Sensei’s links to Takuma Hisa, it was easy to say that he was doing Daito-ryu rather than aikido, and delete him from the list of students of Morihei Ueshiba. This is why, after the death of Morihei Ueshiba, Kobayashi Sensei maintained that he had only studied with the Founder. Recently, I gave classes at a seminar in which various schools participated including Takumakai students and the shihan of Daito-ryu in Europe. At the end of the seminar, they asked me how long I had practiced Daito-ryu since they saw their techniques in mine. One day I would like to be able to talk to you about this again. 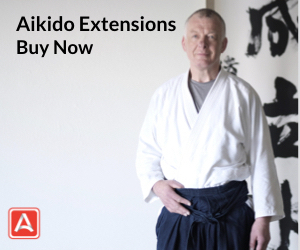 I appreciate your courageous work to reveal the truth about aikido history. Please see this article for an updated and expanded view into this topic. Once Bob Nadeau said something to the effect that California demonstrated how aikido can grow. I think that he meant that the Northern California Aikido Yudansha-kai, particularly at the time, was an open association. That served Hombu well in the 1970s and 1980s. Most of Tohei’s people stayed with Hombu and Hombu rewarded California with a string of high level visiting teachers. Saito Sensei was among them, but he was a special case. He actually developed strong local ties. Today many schools’ teaching methodologies derive from his system. Impressive. 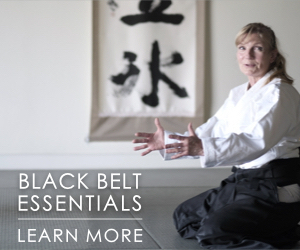 Kobayashi Hirokazu Sensei’s students in Portugal will love this article. 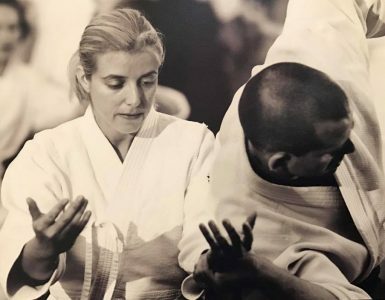 While the link is undeniable (I am the one who recorded and published the original conversation between Olivier Gaurin and Kobayashi Kiyohiro Sensei), it is not so much of a discovery since the activities of the Kansai Aikido club were reported on the very Aikido Journal website. I also think that the interpretation that Cognard Sensei makes of it are slightly beyond what the study of facts truly allows. Yes Kobayashi Hirokazu did study at some point with Takuma Sensei. 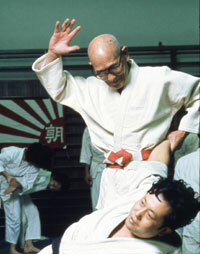 Takuma was well known for his tendency to alternatively teach either “Aikido style” or “Daito-ryu style”, depending of the context and audience. It is unclear what Kobayashi Hirokazu studied under him and it is pure speculation to say that he has studied the extended Daito-ryu curriculum. Being a deshi of O Sensei, one can suspect that it would have been the duty of Takuma Sensei to teach him material that was concurrent with that of O Sensei. Still, absence of proof is not proof of absence but given the extensiveness of the Daito-ryu curriculum, one has to be careful about making such claims. 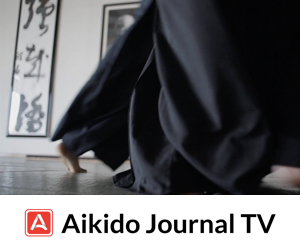 As a practitioner of both Aikido at the Hombu Dojo and Daito-ryu with Kobayashi Kiyohiro Sensei, I see much more Aikido than Daito-ryu in Kobayashi Hirokazu’s work available on video or in his student’s. I do from time to time see some things that are also strikingly similar to what I learn in Daito-ryu. How much he knew about Daito-ryu, let alone taught, is unclear though. Regarding Cognard Sensei’s account of Takumakai practitioners feedback on his Aikido, I would also take those with a pinch of salt. 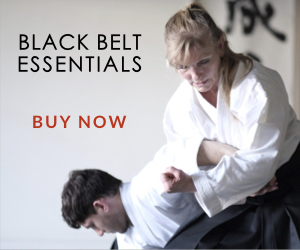 I personally had the very same experience as him in spite of my substantially lesser experience in Aikido. Some Takumakai members even went to the extent of referring to me as Sempai just because I had started Aikido before they took up Daito-ryu (something with which I strongly disagree). Again, I am not contesting the strong link between Aikido and Daito-ryu that existed during the Kansai Aikido Club, era but I think one has to be extremely careful when making extrapolations based on this data, because it could really go either way. I think it would be quite easy to establish the extent of Kobayashi sensei’s exposure to DR. Mr Cognard states that Kobayashi was a Daito Ryu Shihan. So, was Kobayashi awarded shihan by Takuma Hisa in Daito Ryu? Surely that would be easy to verify. It would also be interesting to know who the “European Daito Ryu Shhan” Mr Cognard refers to is. 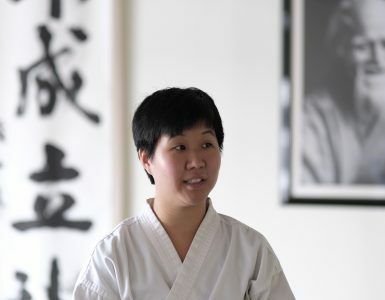 To the best of my knowledge, there are no DR shihan residing in Europe. That is, a shihan received from a kyoju dairi/menkyo kaiden level student of Sokaku Takeda. But perhaps I am wrong, and I would be happy to be corrected. This is not meant as any slight on Koybayshi, or Mr Cognard. From what I have seen, Kobayashi sensei was an excellent Akido practicioner, and the little have seen of Mr Cognard is very impressive too, and I would love to attend a seminar by him in the future. it is more a clarification of historical claims and technique. My aikido teacher was married with kobayashi sensei’s daughter. He told me that in Japan he Did go watch a daito ryu demo together with his father in law. Kobayashi sensei watched the demo and said smiling what he saw was ok but that it wasn’t aikido. Here is an update on the subject: I have asked several senior students of Hisa and all replied that Kobayashi Hirokazu did not study Daito-ryu in any depth, nor for any substantial period of time. The same thing was also confirmed to me separately, not by a Daito-ryu instructor, but by a senior Aikido student of Kobayashi Hirokazu himself. 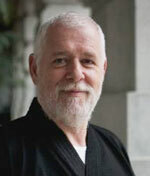 The consensus and the evidence shows that Kobayashi Hirokazu taught Aikido at Momoyama Gakuin University, precisely because they did not make it a Daito-ryu club. Kobayashi Hirokazu was a acquaintance of Hisa Takuma, and he did learn a little bit of Daito-ryu before becoming a deshi in Tokyo and subsequently setting himself up as a professional Aikido Shihan. Of course, I would be happy to consider, and stand corrected if any other evidence was brought forward.